Gold Exchange Traded Funds (ETFs) are simple investment products that combine the flexibility of stock investment and the simplicity of gold investments. People believe it as auspicious to invest in Gold in the festive season. If you are thinking of investing in the yellow metal, then you should know following many ways to invest in the auspicious metal. Gold Exchange Traded Funds (ETFs) are simple investment products that combine the flexibility of stock investment and the simplicity of gold investments. ETFs trade on the cash market of the National Stock Exchange, like any other company stock, and can be bought and sold continuously at market prices. 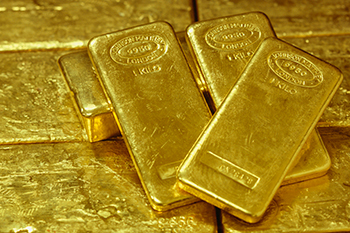 Gold ETFs are passive investment instruments that are based on gold prices and invest in gold bullion. Because of its direct gold pricing, there is a complete transparency on the holdings of an ETF. Further due to its unique structure and creation mechanism, the ETFs have much lower expenses as compared to physical gold investments. Gold bars and coins are also another way of buying physical gold to gift someone or to make jewellery in near future. But if you are buying for investment or for child’s marriage then there other better options than physical gold.